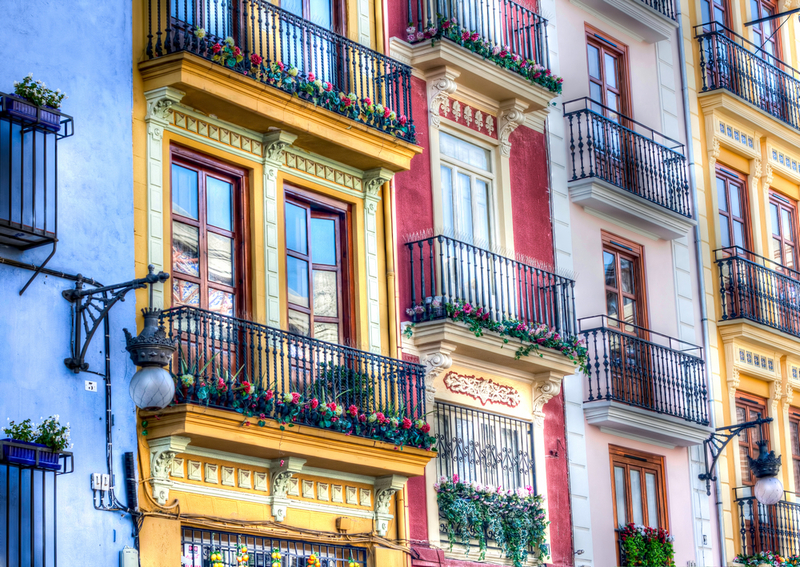 Is a trip to Spain part of your future holiday plans? You couldn’t have picked a more beautiful destination because Spain matches the interests of every tourist! Since the list of the Spanish tourist attractions is enormous, we suggest you a tour that includes only the main worth-seeing places in this country. Therefore, in order to have a general view of this European country and a long lasting impression, follow our brief guide containing the must-see places when visiting Spain. Whatever you are after when travelling to this country, there are many important historical cities such as Madrid, Barcelona, Bilbao, Granada, Valencia, Seville or Zaragoza that you don’t want to miss out. When it comes to touristy resorts, Spain has it all: both sunny seaside resorts such as: Costa del Sol, Costa Tropical, Costa Almeria, Costa Calida, Canary Islands, Marbella and snow-clad mountain resorts. The most famous Spanish ski resorts are: Baqueria-Beret, Baqueria-Beret, and La Molina. These refuge places are only a little part of what Spain has to offer and are scattered all over the country. When arriving for the first time in Spain, you definitely want to stop in the capital city of Madrid. Due to its outstanding monuments and natural surroundings, Madrid is probably the most well-known landmark in Spain. Located on the banks of the river Manzanares, the royal residence Madrid is the place where modern infrastructure and old breathtaking buildings are perfectly combined. It is mostly far-famed for its astonishing buildings: the imposing Royal Palace, the Royal Theatre, the Buen Retiro Park and the thrilling National Library built in the 19th century. Madrid houses many museums which contain pieces of the Spanish history, civilization and art. The following are renowned in the whole world: the National Archaeological Museum, the Prado Museum (exhibits valuable art collections), the Museo Nacional Centro de Arte Reina Sofia and the Thyssen-Bornemisza Museum. Another major touristic attraction right in the center of Madrid is Puerta Del Sol (Gate of the Sun), which hosts multiple, spectacular statues: Charles’ III of Spain, a bear and a madrone tree and Mariablanca’s. In this square there is a long ring of exclusive shops, cafes and refined restaurants. We advise you to enter a typical Spanish restaurant and to taste its fresh seafood or the traditional garlic soup. The Spanish know how to have fun especially in the night, therefore, take a break and go to a discotheque. It is not only the incendiary atmosphere induced by the Latino music and the sinuous or passionate dances, but the joyful and friendly people that make the difference. If you choose a bar, it’s the perfect time to eat tapas, a bite-sized appetizer prepared either of olives and cheese or fried squid. Barcelona, the largest city in Catalonia is a touristic hotspot that pulsates through architecture and art. The tourists who are coming here are either anxious to see Picasso’s, Dali’s or Gaudi’s works or eager to go to the sandy beaches on the coastline. Few others wish to shop in the Avinguda Diagonal, the commercial area of the city and empty their bank accounts. Barcelona is a green city with large and spacious streets and boulevards, therefore it’s a pleasure to take a walk in a park and admire the surroundings. The uniqueness of the city is mostly determined by its striking Gothic architecture. This impressive, yet unique church in the heart of Barcelona is Gaudi’s architectural masterpiece. The building is adorned with multiple details, columns, arches, walls and makes you realize the artist’s amazing creative vision. Actually, the more you approach the church itself, the more impressed you are. Former visitors even claim the church is hallucinatory. In order to arrive at the top of the building and have a splendid panoramic view of the whole city of Barcelona, an elevator is available. Unfortunately, Sagrada Familia is still under construction, therefore be prepared to include in your pictures the architects that are running to and fro and of course, their equipment. Apart from Gaudi’s other buildings (the Guëll Park, Casa Vicens, Casa Milà and Casa Calvet), in Bracelona there are numerous museums such as: the Barcelona Museum of Contemporary Art, The National Museum of Art of Catalonia. No matter what the idea of your perfect city is, you will definitely love to visit Bilbao. Being the most populous town in northern Spain, it meets even the tastes of the more exigent tourists by its multitude of sights present here. This sea port is furnished with a lot of Gothic style churches (Santiago Cathedral, The Basilica of Begoña) and museums: Guggenheim Museum and the Fine Arts Museum. After having visited all these sights, make sure you eat a sturdy dish of shellfish or pristine fish, delicacies of this area. For those of you who are not that into fish, try the local sausages garnished with vegetables. When in Spain, you shouldn’t miss the chance to explore the southern region of Spain, Andalusia. Granada stands now as the capital of this region and has a perfect location: at the foot of the snowy Sierra Nevada mountains and yet a few dozen kilometers from the Mediterranean coast. If you decide to visit Grenada, make sure you check out the Palace of Charles V or Grenada’s Cathedral. If not, take a long walk in one of the colourful Grenada’s parks. This city has so much to offer to the enthusiastic tourists. However, you may want to start by visiting the old Towers of the medieval city and the cathedral. If the architecture of Barcelona was strongly influenced by Gaudi, the famous architect Calatrava designed the most appreciated modern buildings in Valencia. It would be interesting to admire his most famous creation: the City of Arts and Sciences composed of an opera house, a science museum and a planetarium. Moreover, it’s more a recreational place than a cultural one. You could have a portion of paella (prepared mainly of rice), the most popular Spanish culinary delight. I can strongly recommend checking out Granada, Nicaragua. There is so much history there so even if you can’t visit definitely check out online information…. Yes, I can only agree with this: Spain got it all! I wish to go back there, exploring all of Spain during a couple of years or so….. There is so much more than the obvious tourist spots over there – I love the small mountain villages! In Valencia, it seemed like if the food didn’t have some sea creature eyeballing me from the dish, it wasn’t right.